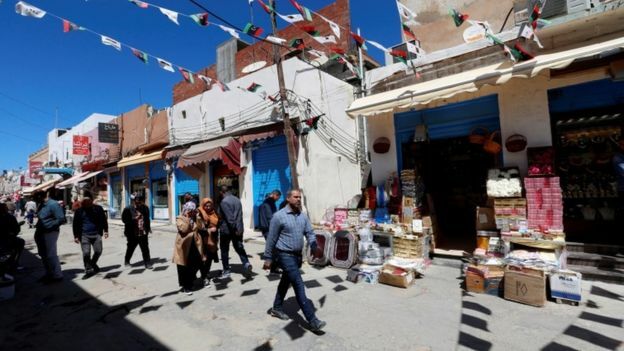 Forces under Gen Khalifa Haftar began an attack on the city last Thursday with aim of wresting it from Libya's UN-backed government. 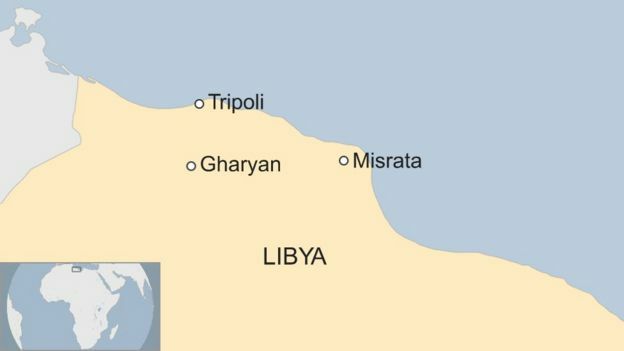 On Monday there was an air strike at Tripoli's only functioning airport, Matiga. Reports indicate it was carried out by forces loyal to Gen Haftar but there was no confirmation. Gen Haftar's forces said they had lost at least 19 fighters. Gen Haftar's Libyan National Army (LNA) forces have been carrying out a multi-pronged attack on Tripoli. However a UN spokesman told AFP news agency they were "still hoping for a positive response". 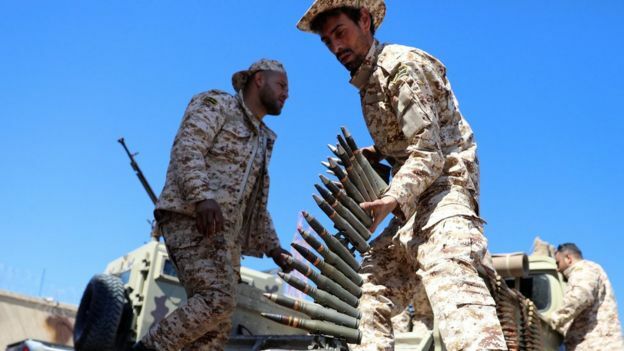 The LNA said it had carried out its first air strike on Sunday - one day after the UN-backed Government of National Accord (GNA) hit them with air strikes. US Africa Command - which is responsible for US military operations and liaison in Africa - said that it had moved a contingent of US forces out of the country due to the "increased unrest". India's External Affairs Minister Sushma Swaraj said the country's full contingent of 15 Central Reserve Police Force peacekeepers had been evacuated from Tripoli because the situation in Libya had "suddenly worsened". 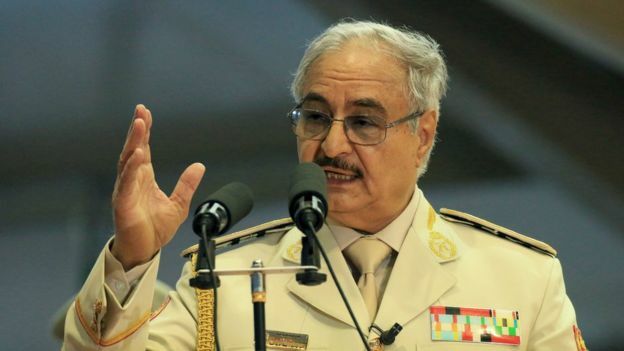 The rogue general's defiance suggests that, despite international condemnation of his recent moves, he believes he can only secure a place in Libya's future political makeup through military means.